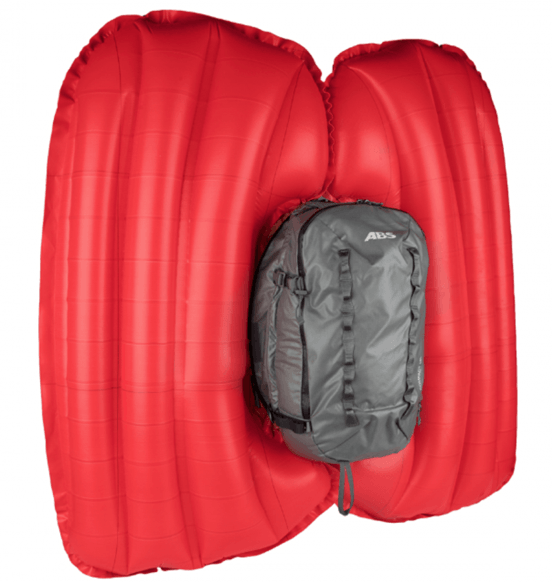 Since 2008 Snowsafe have been selling ABS Avalanche Airbags, ABS have continuously developed there airbag systems and ABS backpacks to make them one of the lightest and most reliable twin airbag on the market. 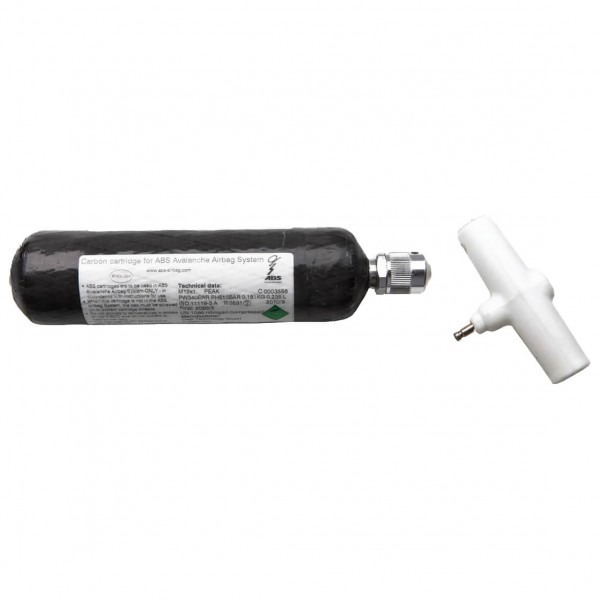 The ABS Avalanche Airbags are an intelligent system used to prevent complete burial in an avalanche and to survive the accident as unharmed as possible. 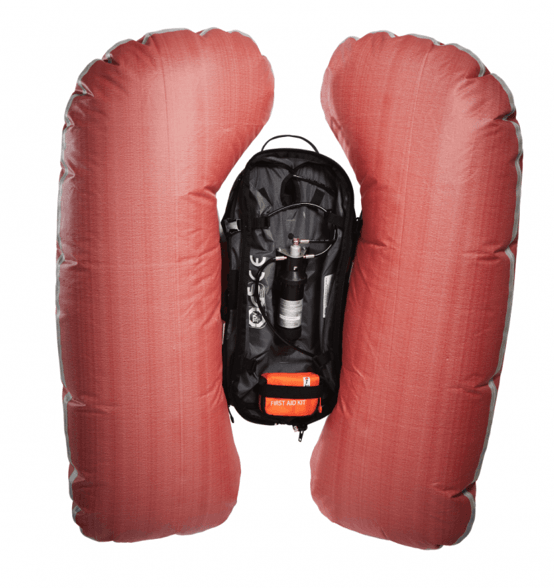 The rescue concept: with one pull on the activation handle of the backpack two airbags will inflate in mere seconds (3 to be exact) to a total volume of 170 liters. This additional volume will likely prevent the burial of the carrier. 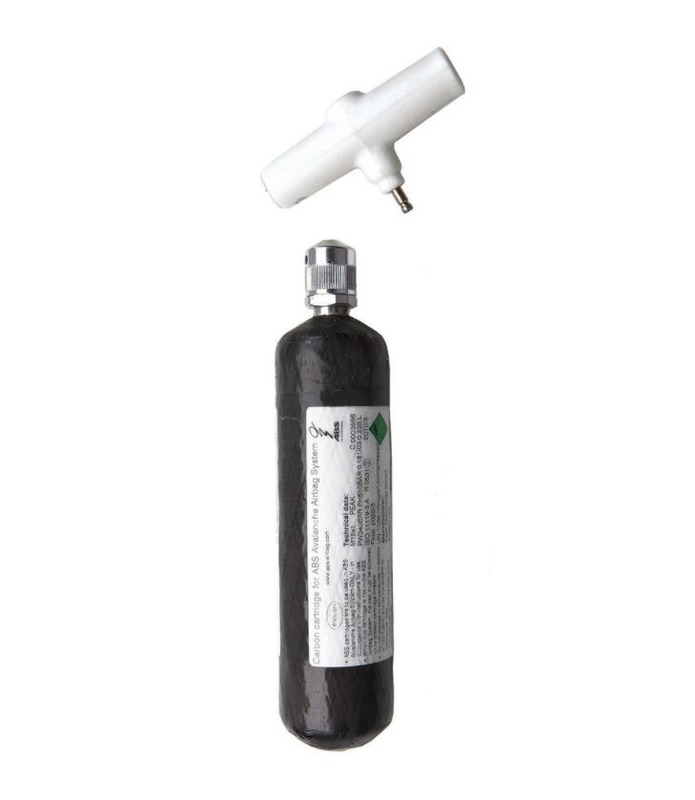 Gas from a cartridge contributes to the airbag filling. Of course the ABS Airbag can be re-used after activation. The cartridge as well as the activation handle can be re-filled. The inflated airbags will bring you to the surface of the snow and create a air pocket which will allow you to breath during an avalanche. 98%* off all avalanche victims with activated ABS Avalanche Airbags survived nearly unharmed. History of ABS Avalanche Airbag and how they have Evolved ? In the 1970s, a German forest ranger made an interesting discovery – caught in an avalanche, Josef Hohenester owed his survival to the game he was carrying on his shoulders, since the latter allowed him to remain on the surface of the snow. Experiments with voluminous canisters and balloons followed. The idea for the avalanche airbag was born. In 1980, Peter Aschauer acquired the patent after a first-hand avalanche experience. He founded the company ABS Peter Aschauer GmbH and started to develop a system that allowed avalanche victims to gain a sufficient increase in volume within seconds, without obstructing their ability to move. Skier and entrepreneur Peter Aschauer acquired the patent. He founded the company ABS (“Avalanche Balloon Secutem”) Peter Aschauer GmbH and began developing the system. 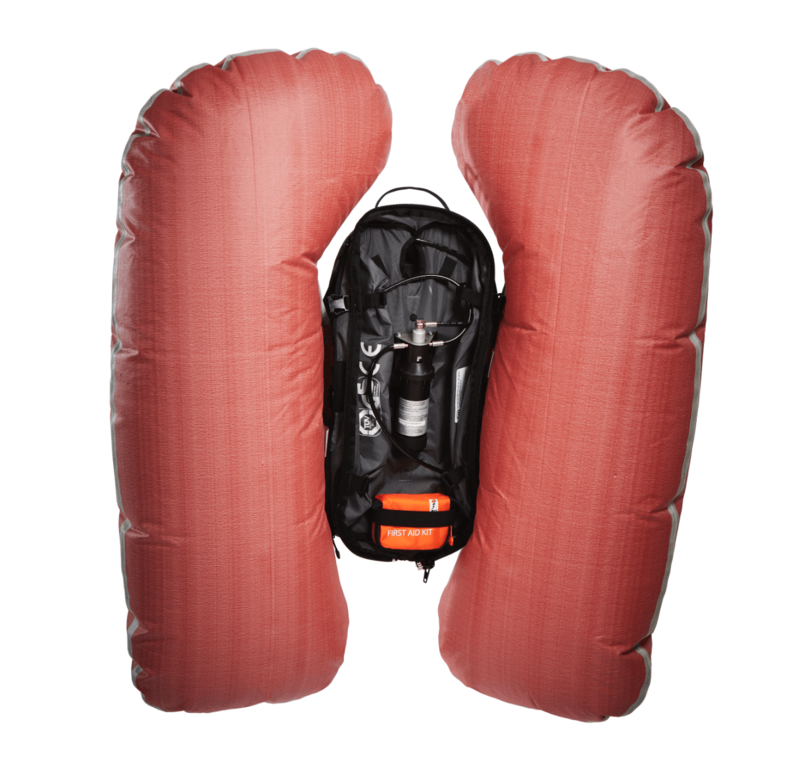 The first fully functional airbag system was unveiled at the ISPO trade fair. At the “Ski-Plus Wochen” event, the DAV Summit Club equipped all participating freeriders with ABS® systems – the first breakthrough. Demonstration of the ABS avalanche airbags to the press with dummy tests in Disentis/Switzerland. The Swiss Federal Institute for Snow and Avalanche Research (SLF) agreed to carry out several extensive series of tests. Unveiling of the first ABS system with two airbags (TwinBag). The system was also completely redesigned, with a pyrotechnic pneumatic activation unit replacing the previous Bowden cable. The backpacks were produced by Vaude. Deuter took over the further development of ABS backpacks, helping to expand the system’s success. Dynafit took over the worldwide distribution of ABS® backpacks. Following Dynafit’s acquisition by Salewa, distribution of the backpacks was transferred back to ABS®. A special backpack was developed for freeriders. 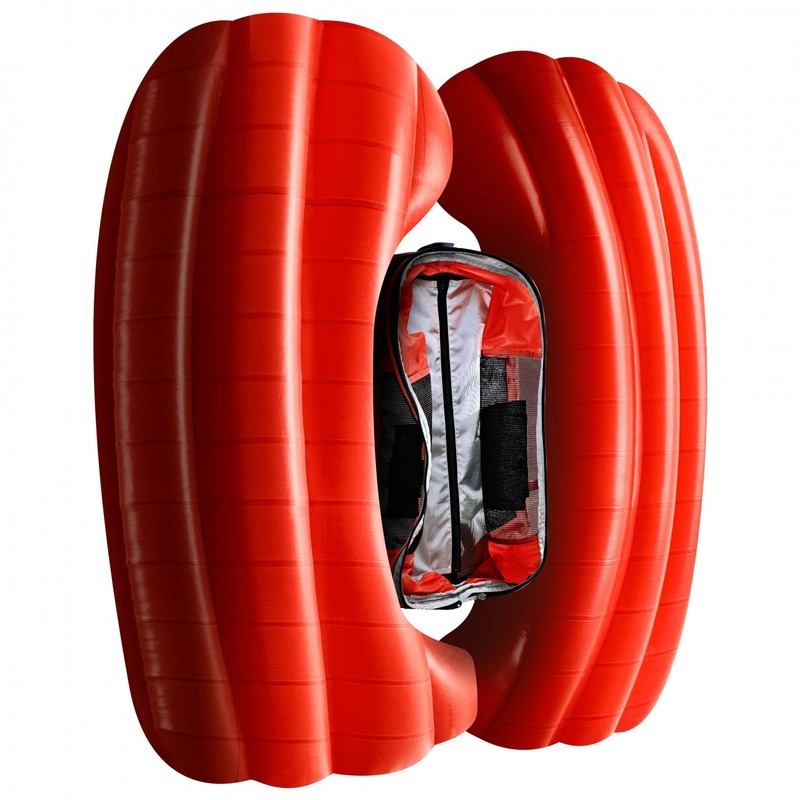 A new material was selected to allow easier folding and housing of the airbag. Launch of the ABS® zip-on principle. A system in which the storage volume can be changed quickly and easily. With ABS® Wireless Activation, one member of the group can activate the airbags of all the other members in an emergency. Backpacks were fitted with the lighter carbon cartridge for the first time, resulting in a weight saving of almost 50%. ABS® entered cooperation agreements with industrial partners who integrated the ABS® system in their backpacks (Inside Partners) or produced zip-ons for the base units (ABS® Compatible Partners). The Vario Base Unit was fitted with a certified back protector. Launch of completely updated Zip-ons with improved functionality, more sizes and new design. ABS is celebrating 30 years of research and innovation. With 50,000 systems produced this season, ABS Avalanche Airbags remain the market leader in this sector. 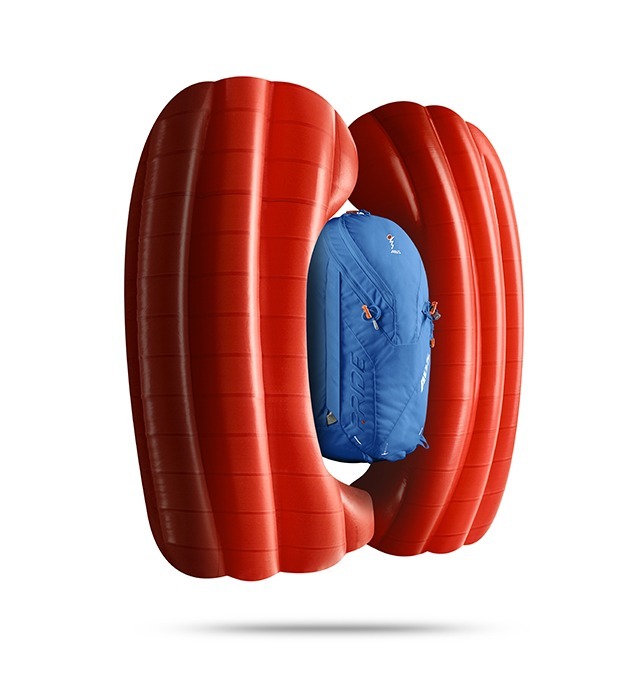 With the P.RIDE airbag system ABS introduces the new generation of avalanche airbags. With Partner activation built in as standard, 30% more projected are, automatic system check and two airbags for double safety. New to season 18/19 is the s.Light Base unit, an renovated version of the ABS Vario base unit, with new features and zip on sizes ranging from 15 to 30 Litre, you can attach the older vario zip-ons onto the 2018 s.Light Version. 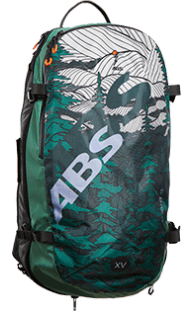 Please head over to the ABS airbag category for more information about the ABS Avalanche Airbags and the models we stock. Feel free to email us on info@snowsafe.co.uk or via Online Chat, you can also call us on 01273 737676 if you have any enquires.